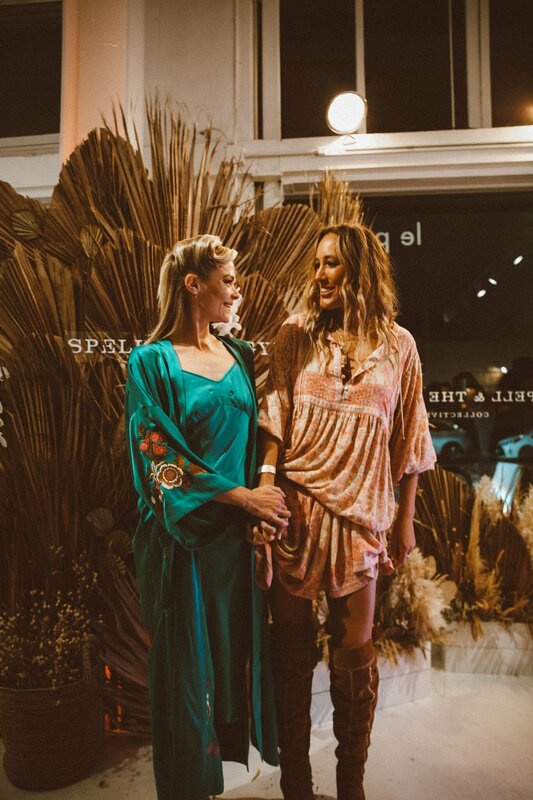 Hailing from the dreamy beach town of Byron Bay, Australia, the brand Spell & the Gypsy Collective has established itself as a cult sensation. What started as two sisters, Isabella Pennefather and Elizabeth Abegg, selling their clothes at their local farmers market has turned in to a global fashion sensation with fans including the likes of Blake Lively, Miley Cyrus, Vanessa Hudgens and Alessandra Ambrosio. 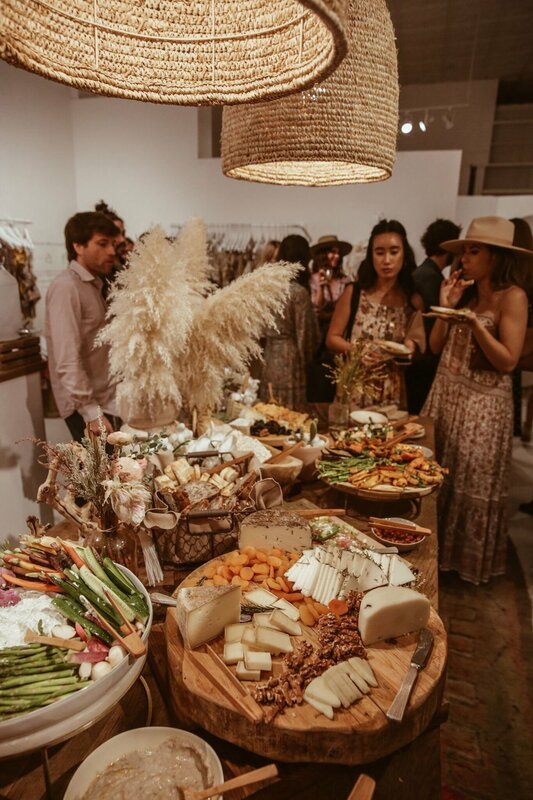 Recently they’ve expanded from their global online store presence to a pop-up shop in Venice Beach, so we sat down with co-founder Isabella Pennefather (also known as “Spelly”) and PR and Marketing Manager, Mel Carrero, to talk fashion, sustainability and success. It isn’t hard to see why their fans have stayed with them through their journey. Nostalgia runs deep in every new collection. Flowy dresses, vibrant patterns and expert details perfectly compliment the wearer. Their newest collection “Wild Thing” is an extension of their brand ethos, which groups printed maxi skirts with matching blouses along with wide leg pants and carefully knit sweaters in earthy tones. “Wild Thing” draws from the strong and steady energy of the natural world and the women who created it. They’ve managed to capture an entire feeling with just one dress. On their website one can find a complete global supply chain map so their consumers are able to hold them accountable for the sustainable practices they preach. The factors that they used have independent certification from bodies such as SEDEX (Supplier Ethical Data Exchange), WRAP (Worldwide Responsible Accredited Production) and BSCI (Business Social Compliance Initiative). According to Spelly they’ve even stopped working with factories if they don’t have the exact third-party credentials that they’re looking for. Every choice they make is designed to make them one of the most sustainable and transparent brands in the fashion world today, starting with the fabrics they choose. But the intersection of fast growth rates and sustainable practices is not a feat accomplished by many in the industry. The pressure to produce clothing quickly and unsustainably is why many think fashion poses huge environmental threats. Spell & The Gypsy Collective has been able to overcome obstacles like these with grace, proving to be competition even for fashion brands that can churn items out more quickly and at a lower cost. Thankfully, Spell & The Gypsy Collective has beaten the odds. Spell now consistently brings in over $1 million a month, has garnered more than 970 thousand engaged Instagram followers, and doesn’t look like it’s slowing down any time soon. 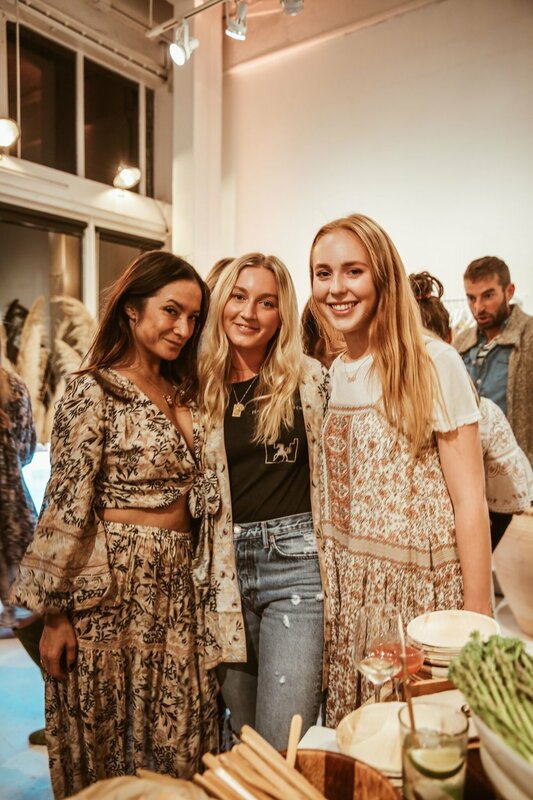 For you fellow Left Coasters, Spell & The Gypsy Collective will be here in Venice on Abbot Kinney until November 25th, so stop by and check out the incredibly beautiful and, more importantly, sustainable brand that is Spell & The Gypsy Collective.